All parents want their kids to stand out, but there’s one activity you can give your kids that will set them apart from the crowd—the Kids Martial Arts classes at Kick Connection! We’ve created a TaeKwon-Do martial arts program that’s packed full of fun, fast-paced activities that kids love. Great for their growing bodies and minds, the Kids Martial Arts classes at Kick Connection will bring out the best in your children by helping them develop strong character traits, teaching them leadership skills and, of course, showing them how to live healthier lifestyles! When it comes to giving your Kids Martial Arts lessons, you have your choice of schools. But you’ll be hard pressed to find a martial arts academy that offers the level of martial arts training that we do at Kick Connection! That’s because we’ve put together a martial arts program for kids of all ages and skill levels. So, It doesn’t matter if your kids have never taken a single martial arts or karate class before, or if they’ve already earned countless trophies for their bookshelves. From giving your kids an amazing, muscle-building workout to helping them learn critical self-defense skills that no child should ever be without, you’ll love everything that the Kids Martial Arts classes at Kick Connection have to offer your children. ENDLESS BENEFITS FOR YOUR KIDS, STARTING THIS MONTH! When you enroll your children in the Kids Martial Arts classes at Kick Connection, you’re setting them up for a lifetime of success. With all of the positive changes you’re bound to see in your kids, there’s no reason to wait to get started...and now, with new classes beginning this month, you won’t have to! To help you get started, we have an exclusive, limited-time offer for you when you register your kids for our new classes. You can learn more by completing the short contact form on this page. When you do, we’ll provide you with all the information you need to take advantage of this incredible special. But hurry—Kick Connection is the school of choice for so many parents in the area, and our children’s martial arts classes fill up fast! 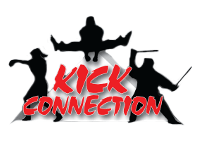 So don’t wait—complete the contact us form today and get your kids started in the exciting world of martial arts at Kick Connection!